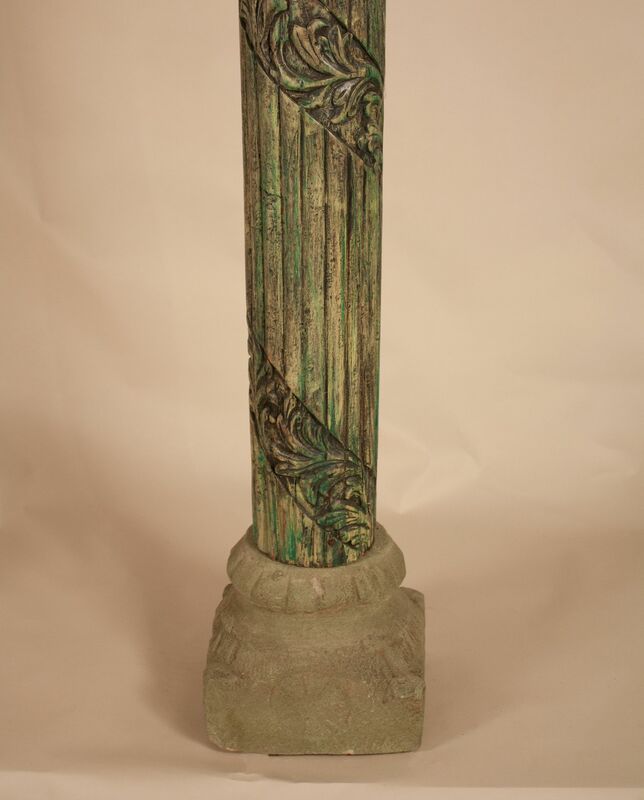 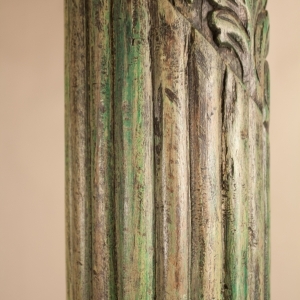 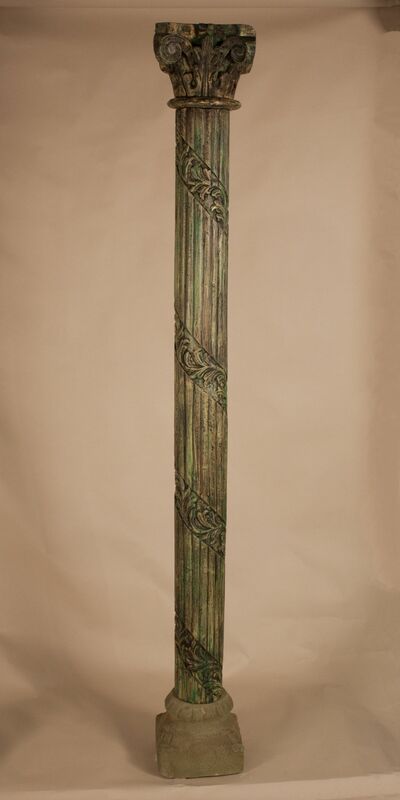 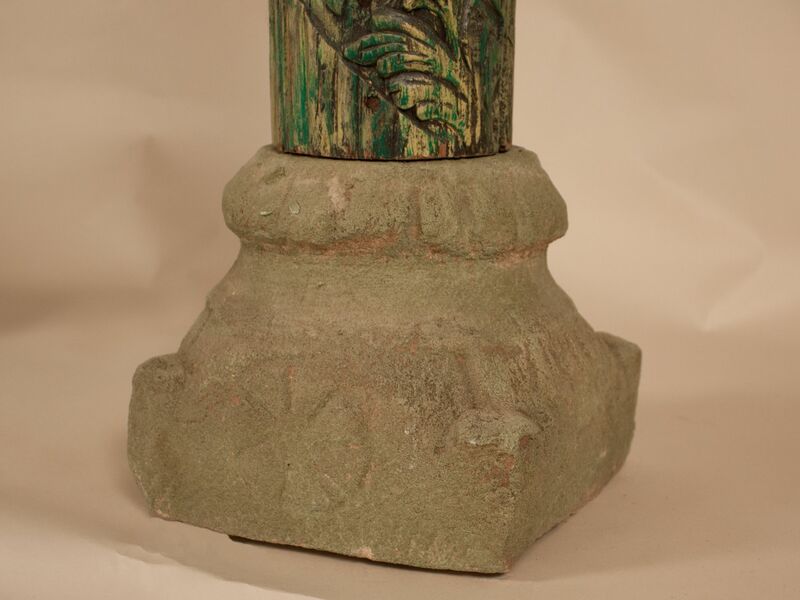 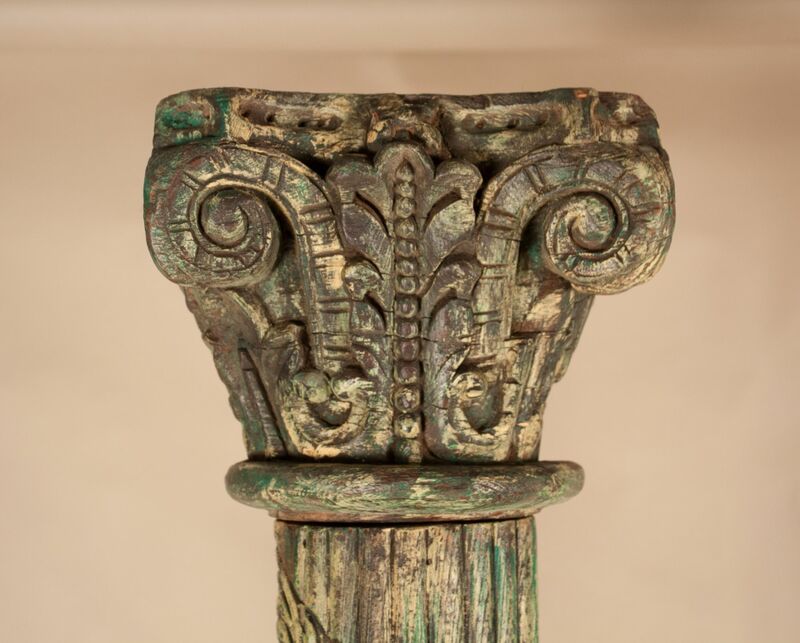 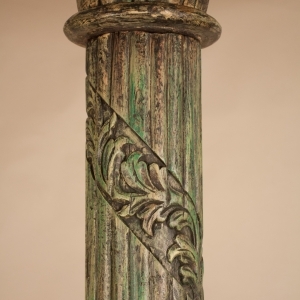 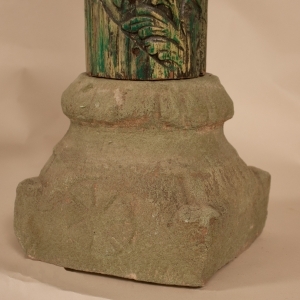 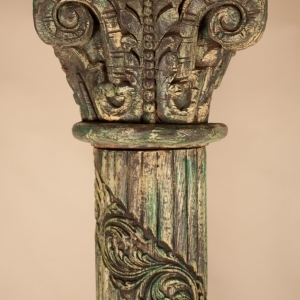 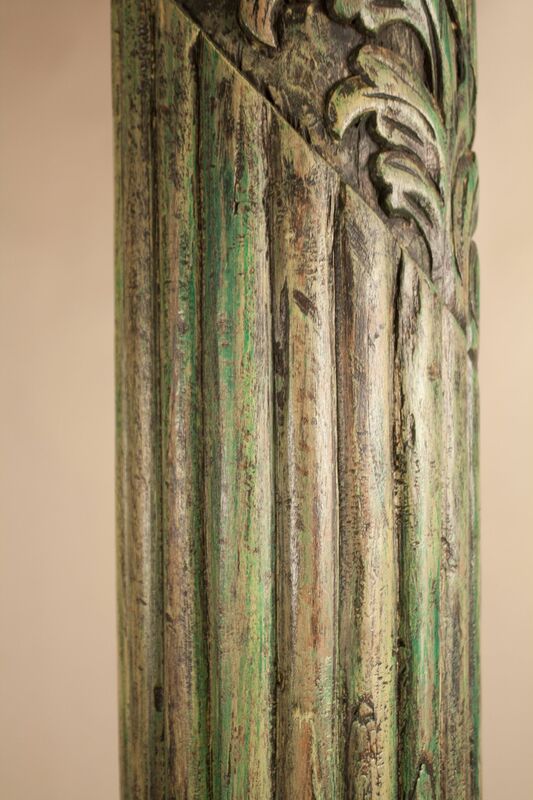 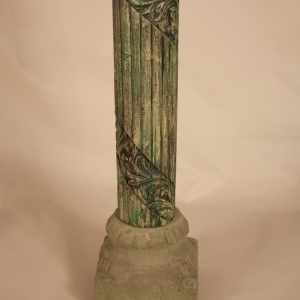 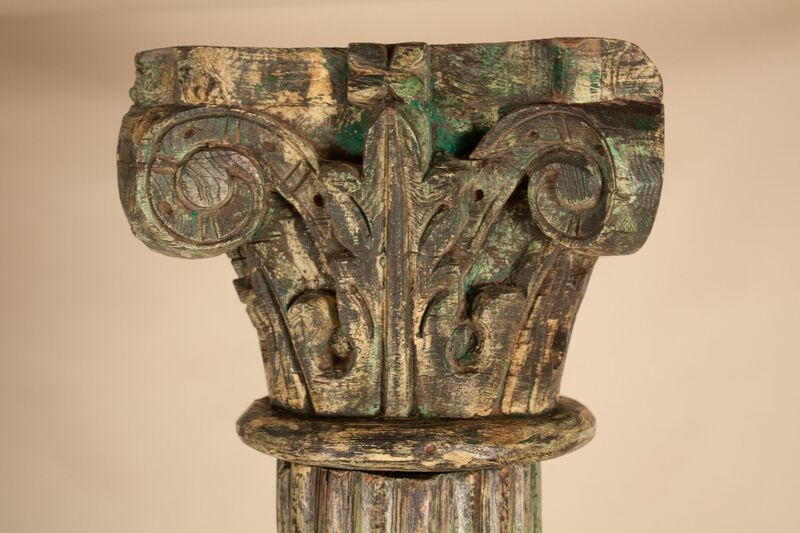 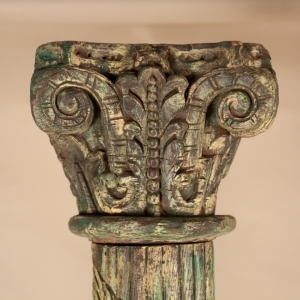 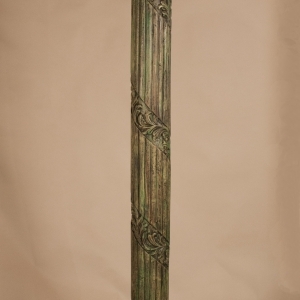 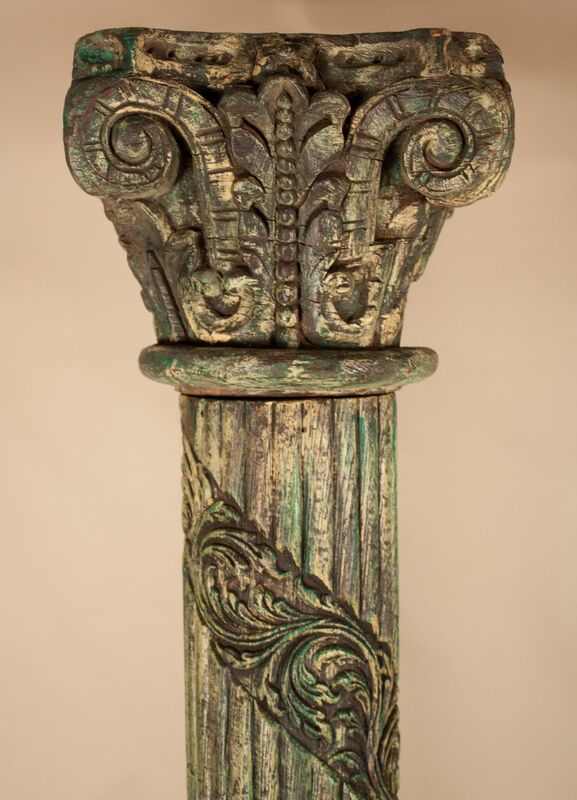 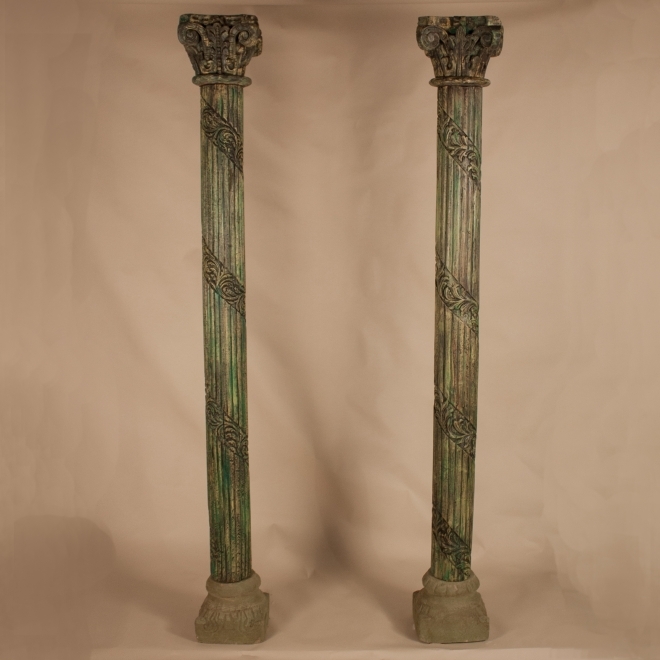 Distinctive set of teak wood architectural columns from Gujarat, India, circa 1950, with original green paint and fluted, hand-carved, ribboned pillars and Corinthian capitals. 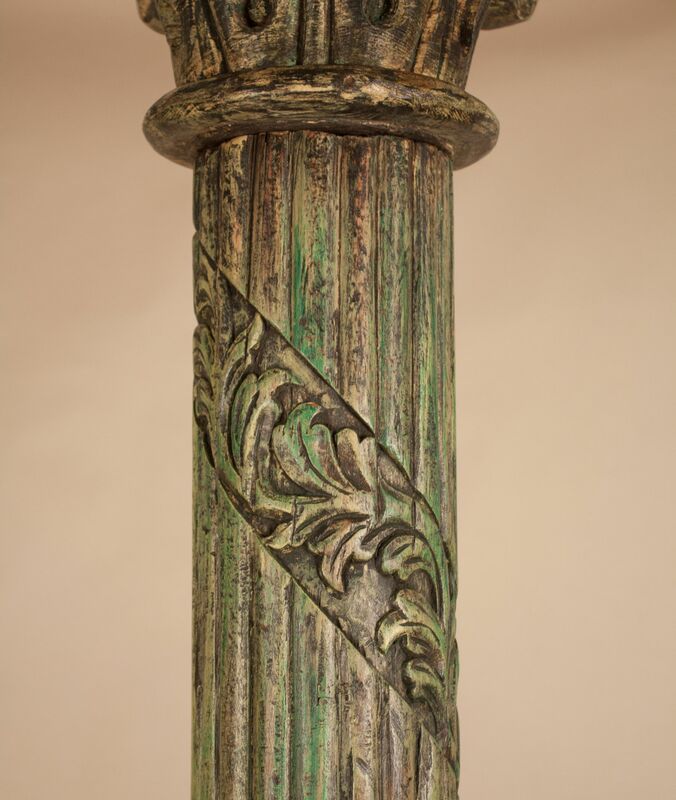 The column bases, which have a small footprint, are made of sandstone and have weathered, yet visible, decorative floral impressions. 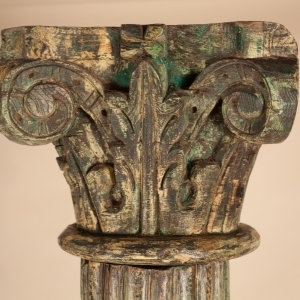 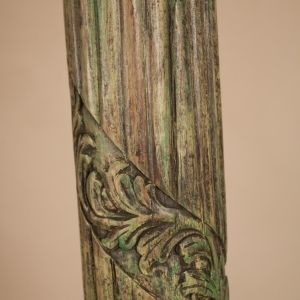 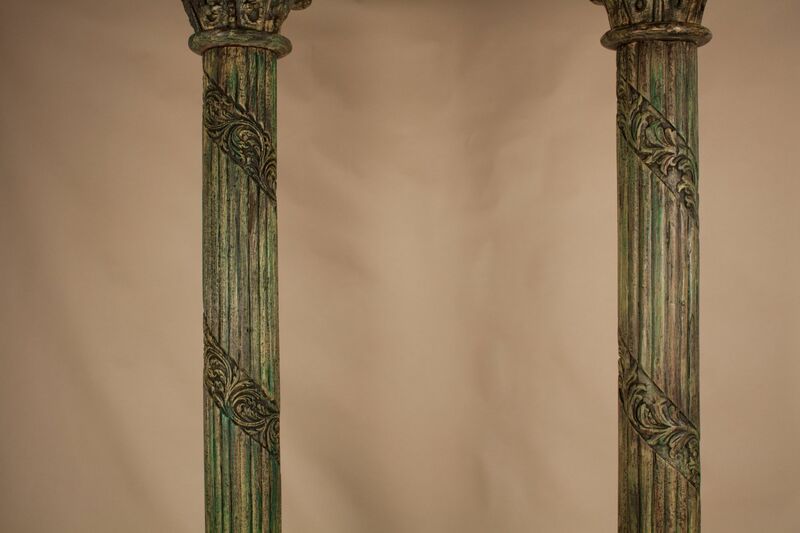 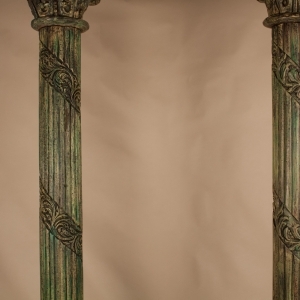 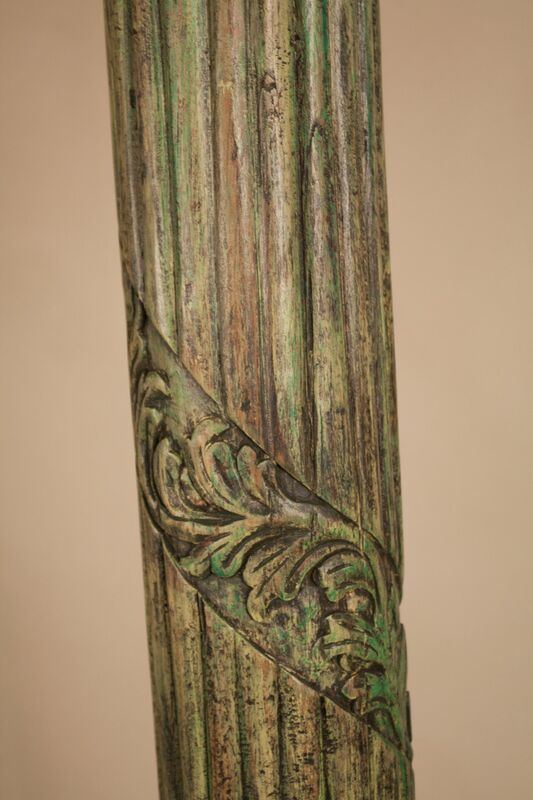 Note that there are subtle variations in the color and carvings of the two pillars (see photographs), which both adds interest and speaks to the authenticity of the pair.